The EMC Storage Viewer plug-in for vSphere Client can improve storage management by integrating storage array views. If you follow my RTFM blog, you know that I've been playing around with the new vStorage plug-ins for vCenter. Recently, EMC released Storage Viewer 2.1, which is now compatible with vSphere 4 Update 1. Initially, Storage Viewer 2.0 presented some problems, but they were resolved by EMC in a matter of days. If you haven't come across EMC Storage Viewer, this article is for you. 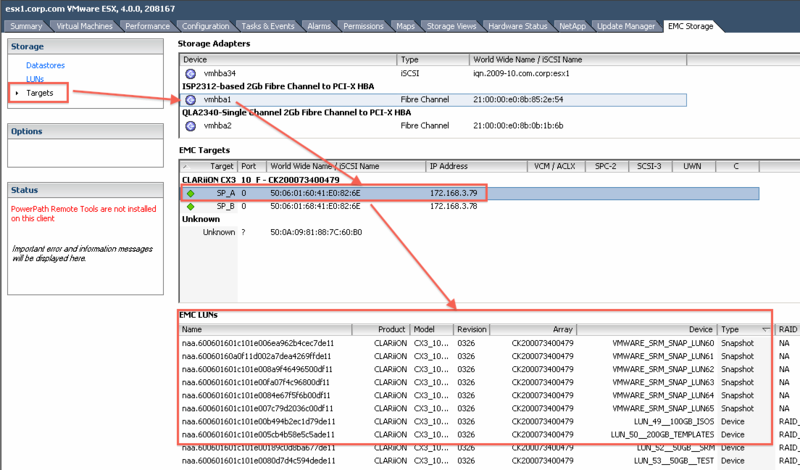 Storage Viewer provides users who run Symmetrix and a Clariion array with a great view (if you forgive the pun) of array configurations from the vSphere Client. Instead of stitching together information from various windows, Storage Viewer enables administrators to get an integrated view of storage use, configuration and more. Before you begin with the Storage Viewer installation, ensure that you have the EMC Solutions Enabler software installed on your management PC. Because the Storage Viewer is a client plug-in, it must be installed on the management PC where you run the vSphere Client. The installation is pretty much a next ,next affair. Once opened, however, you need to enable the plug-in from the manager within the vSphere Client. This adds an EMC Storage icon to the Management tab on the vSphere Client "homepage." After supplying the necessary variables, click the Perform Assisted Discover link. 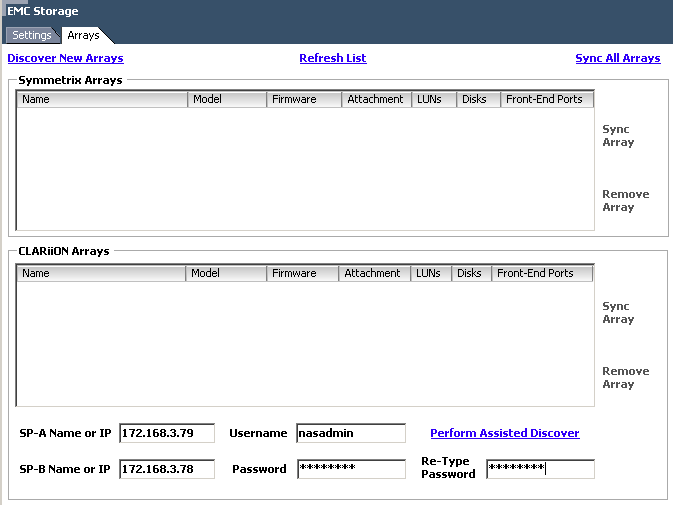 Once the array(s) have been discovered, you will find additional tabs on your ESX host. Selecting a data store "owned" by the Clariion array provides additional details about the storage system, including the current vmhba runtime path; the name of the logical unit number (LUN) (LUN61_100GB); RAID level and so on. In my environment, I can even see that the storage system is serviced by four paths to the array, indicating a fully-redundant fabric is in operation. Normally, this insight requires collecting information from vCenter and then mapping it to the storage management layer, such as Navisphere. Here I can see everything I need to know in one handy place. Additional views provided by the Storage Viewer plug-in expose even more data. In the LUNs view, for instance, I not only see the LUNs the Clariion array supports but also my snapshots, which I created as part of my VMware Site Recovery Manager work. Finally, the Targets view shows the association between the Fibre Channel host bus adapter ports and the SPs on the Clariion array. Currently, Storage Viewer cannot display EMC MirrorView relationships, even if you add multiple arrays. If you're interested in this feature, however, the new Site Recovery Adapter for EMC Clariion arrays does a good job of sanity-checking your MirrorView configuration. But you do need a VMware Site Recovery Manager implementation in place for it to work. As you can see, gone are the days of the VMware guy not being able to map a VMware data store to the storage array. At last we have arrived at the point where we don't need multiple management windows open -- trying to stitch bits of data from one application and locate them in another. And that's what vStorage integration and the EMC Storage Viewer is all about: providing the tools that show the relationships between the physical and virtual worlds.